This week we have a jumbo sized version of Thursday Morning Superhero, but before jumping into this week's recap, I want to urge everyone to go visit the Skelton Crew Studio's website. As the proud owner of a plush Poyo, a Chog, and multiple keys, I can attest to the amazing products that they produce. With the impending end of Chew, my wallet fears what may happen as new products are announced. 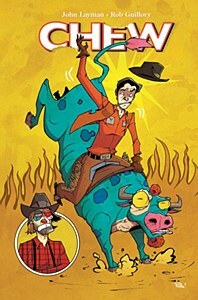 Chew #54 - This series is racing towards its conclusion and I fear for the life of everyone. John Layman, George R. Martin, Jr., isn't afraid to kill even our most beloved of characters. From what Layman wrote at the end of this issue, things are only going to get worse. I feel like this comic just punched me in the face. With only six issues left in the series, I struggle with how things can work out for Tony Chu. Despite all of the doom and gloom, he does manage to give his readers a gift every now and then and the Punxsutawney Groundchog is the gift that keeps on giving. Hoping the Skelton Crew Studio will offer a plush of this fella. Southern Bastards #13 - Jason Aaron and Jason Latour don't pull any punches with their take on football in the south. As someone who has abandoned the NFL many years ago, it is a guilty pleasure to read about the corruption that impacts our sport system. This is a series provides a glimpse behind the curtain of big time high school sports and might find itself on the reading list for a sociology of sport class at some point. Boss is the coach you love to hate. 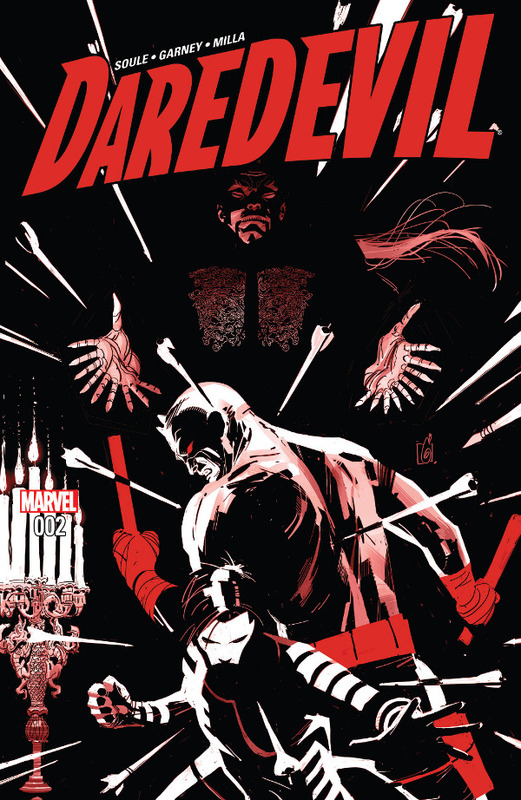 Daredevil #2 - Charles Soule's run is off to a good start and is doing a nice job distinguishing his style from Mark Waid's incredible journey with the Man with No Fear. The series now has a noir feel to it and is lacking a lot of the humor that Waid used to inject in the series. While I enjoyed the humor of old, I feel that the new direction breathes new life into one of my favorite comic book characters. Tenfingers is a very intriguing villain and is a formidable foe if he managed to escape the Hand with some sort of mystical item. I am excited to see where Soule takes this series. 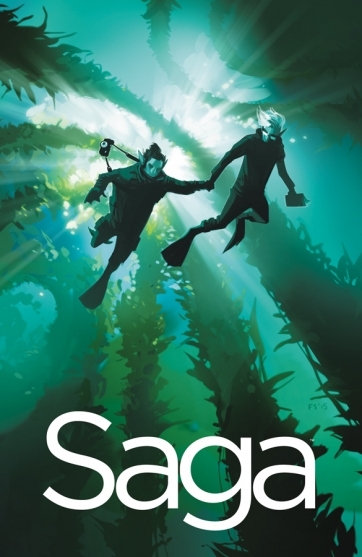 Saga #33 - Oh how the Will has fallen. Apparently losing your main squeeze and your feline sidekick will do that to a man. Despite all of his troubles, he remains on the trail Marko. We learn this through a series of reporters who may be in over their heads trying to break the biggest story in the universe. Brian K. Vaughan gives us another wrinkle in this tale of forbidden love and it continues to be one of my favorite series of all time. 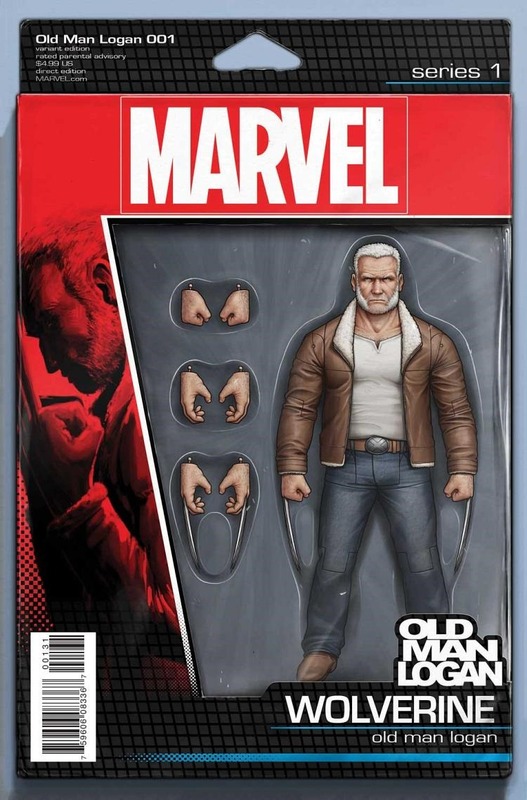 Old Man Logan #1 - As strange as it is to read a Wolverine title penned by Jeff Lemire, it is quite fun. Logan, who as you may have guessed from the title is an old man, has somehow traveled back in time. In order to prevent his family's death at the hands of the Hulk Gang, Logan sets himself on the path that he thinks will set things straight. After reading Daredevil and seeing the length that most superheros go to to prevent death, it is oddly refreshing to witness the brutality that Wolverine is capable of.